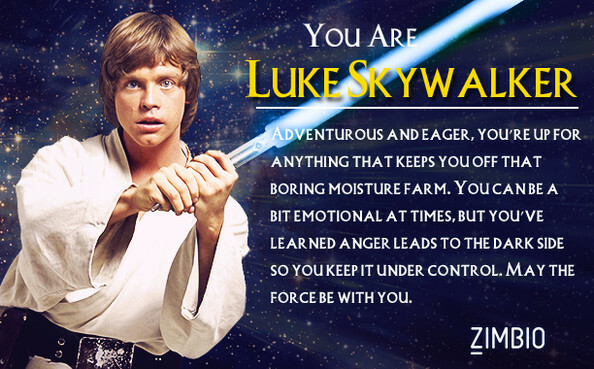 Trick comes out as Luke Skywalker. That's...painfully apt, I think (even if she isn't quite as self-controlled as Ep VI Luke yet). 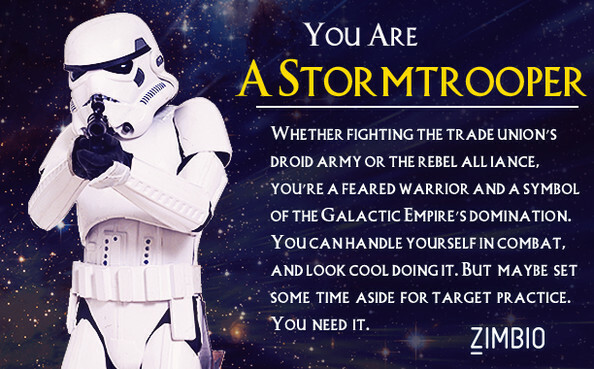 But I simply don't get this one: Baz comes out as a Stormtrooper. I think his answers confused the hell out of the quiz, maybe? It has some cool twists on fairy tales (most notably, so far, Alice in Wonderland and Oz) and I imagine some of you all may enjoy it. Been going for a few years now, so plenty of backlog to read, which is nice as well! 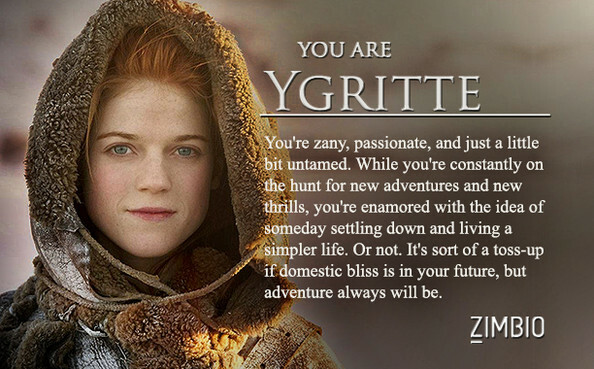 Trick gets Ygritte. This should surprise no one. 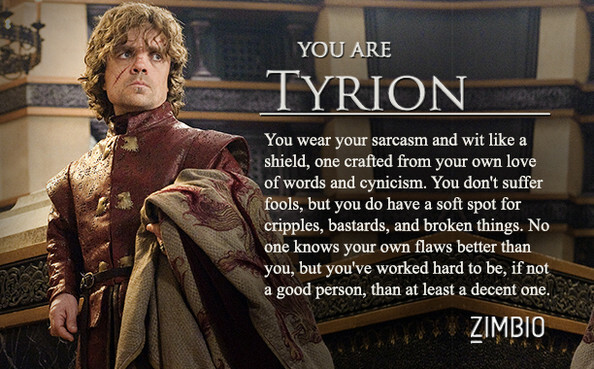 Baz comes out as Tyrion. 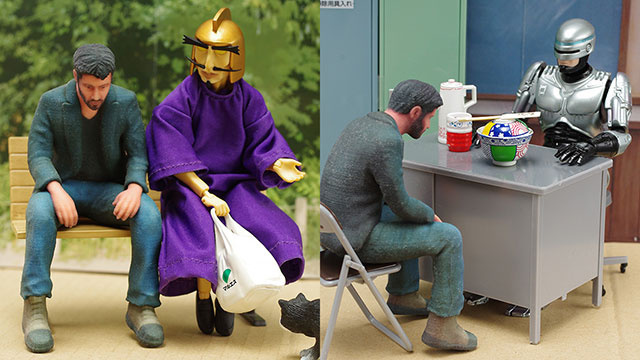 I can see that. And Isis ends up as Cersei. Well, she can be pretty damn ruthless when it comes to her family, that's for sure. 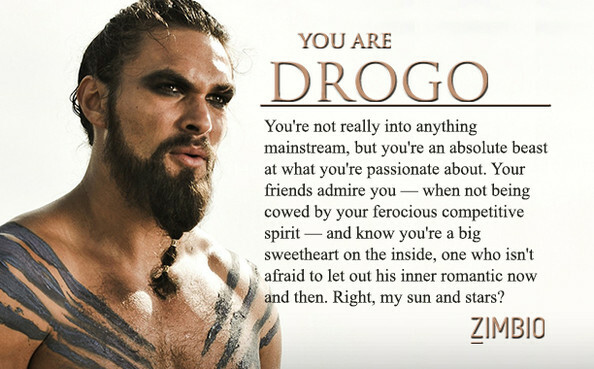 LOL, Rae gets Drogo and it's so damn fitting I actually AM surprised. 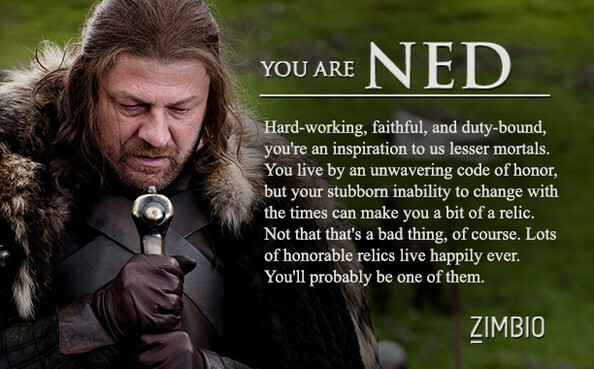 Clare is Tyrion--minus some sarcams (and whoring) that actually fits rather well. As did Bette, which also makes sense. 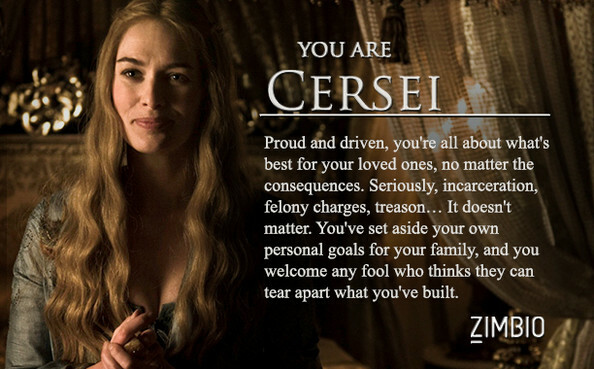 Candace got Cersei as well, I think, when I tried answering as her.